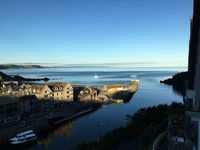 Property 10: Breathtaking Coastal, Harbour and Countryside Views. Property 11: Amazing barn conversion! Property 13: Fantastic barn conversion with two round rooms! Property 17: Baronial scale, beautifully presented! Property 19: Beautiful 2 bed apartment, recently refurbished with breathtaking views. Beautiful Apartment with balcony. Near to Eden, Heligan & the coast. Property 20: Beautiful Apartment with balcony. Near to Eden, Heligan & the coast. Property 29: Amazing barn conversion! Property 34: Ground Floor Modern Apartment With Countryside Views. 4 star rating. Dog friendly, cosy, rural retreat for 2, close to the North Cornish coast. 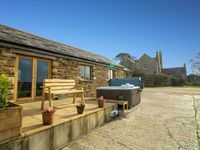 Property 43: Dog friendly, cosy, rural retreat for 2, close to the North Cornish coast. Property 48: Apartment in historical building in a quite area close to town centre and beach.